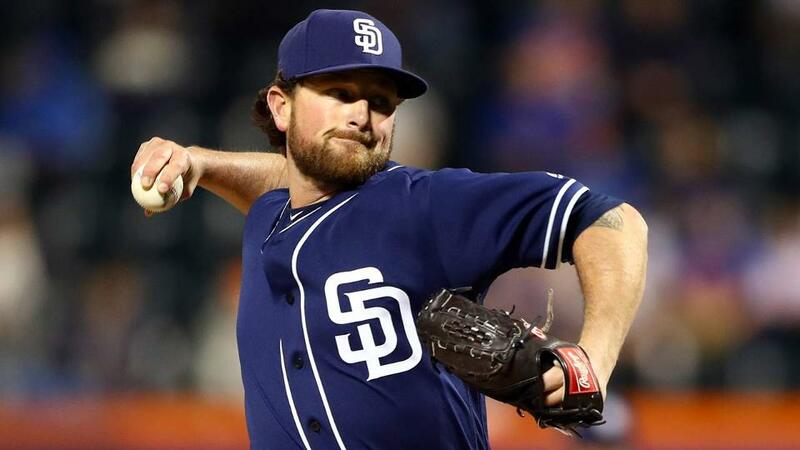 The 2019 San Diego Padres bullpen should be an area of strength for the team. Here is a look at the crew and what to expect in the coming year from them. If there was one strength the 2018 Padres (and most past Padres teams) had, it was the notion of a good bullpen. No matter how terrible or mediocre the starting pitchers and hitters may be, the Padres have proved time and time again that they have been able to develop consistent and stable bullpens. Whether it be with Brad Hand, Kirby Yates, or a slew of other bargain bin relievers, the Padres have what it takes to produce solid numbers. With that being said, here’s an early prediction of who will be in the Padres bullpen on Opening Day, with a brief overview of their potential role for the season. 2019 will mark the third year that Yates has spent with the Padres, and returns have been nothing but positive. Since he was claimed from the Angels before the 2017 season, Yates has been a steady presence that the Padres have been able to count on. After starting last year as the setup man, to his transition to the closer’s role, Yates has excelled and figures to be the team’s closer for the foreseeable future. While the Padres could trade some of their pieces at the deadline again this year, Yates will be the guy that Andy Green turns to in the ninth, and high leverage situations. 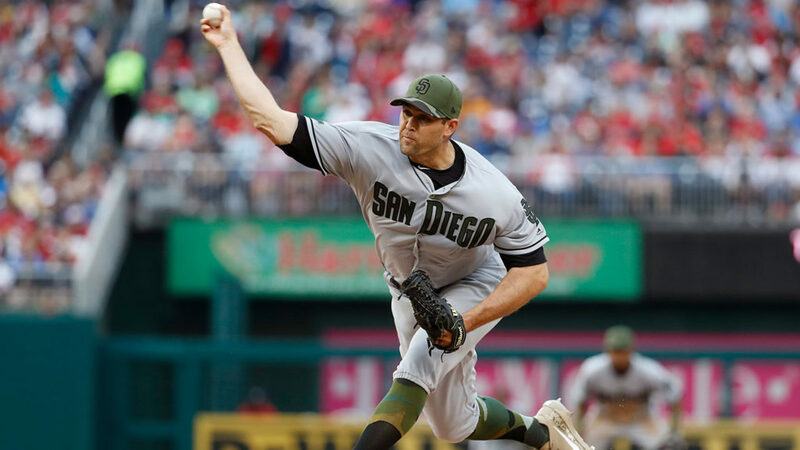 Yet another buy-low candidate, Stammen signed a minor league deal with the Padres in late 2016, and became a dark horse out of the bullpen, compiling a 3.15 ERA over 80 1/3 innings. In 2018, the Padres rewarded him with a two-year contract, and he again produced well. For the upcoming season, Stammen also figures to see high leverage innings, most likely by setting up Yates with the eighth inning. He’s a year older, but he’s given little reason to argue for a decline in production, as Stammen should more than likely put up another year of steady numbers. After getting cut by the Cardinals and signing a minor league deal with the Padres before last season, Stock rocketed his way through the system, by starting the season in Double-A and making it up with the big club by late June. He took on the role as more of a long man/inning eater, but Stock also proved to be valuable with his high 90s fastball and a wipeout slider. Because he succeeded in a variety of roles last season, expect to see Stock in a similar role this season. He probably won’t see many innings later than the seventh, but he will be the main man to be the bridge between the starting staff and the back end of the bullpen. 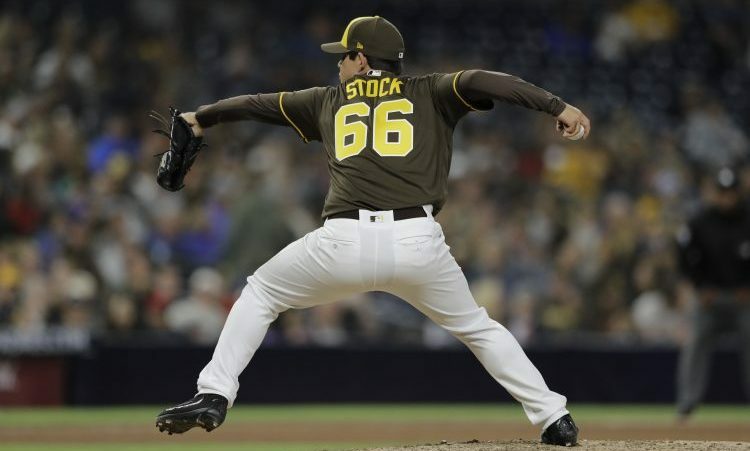 Stock is definitely a sleeper for potential breakout candidate in the bullpen, and some of the team’s success will hinge on his ability to work out of big spots. Maton has arguably the most upside of any of the current bullpen options. He’s young and has the makings for a possible closer candidate down the road. While he has struggled with staying healthy and ineffectiveness at times, Maton should be a solid candidate to anchor the 2019 bullpen. He (likely) won’t see too many late innings either, but this year will be crucial in Maton’s development and whether or not he can pitch high-leverage innings on the 2020 team and beyond. Warren was an early Spring add this season and was a good move by the front office in doing so. Throughout his big league career, Warren has been a steady force for each team he’s been a part of and has the capabilities of fitting into many different roles for this season’s team. While he’s probably going to be more of a mid reliever than anything, Warren has a unique skill set and would be able to step in and provide some innings late in games, as well as be more of a long man. Overall, his role will likely depend on which other arms are stocked in the bullpen, and how they fit into things as well. Another veteran with a distinct major league pedigree, Loup was signed by the Padres after the injury to Jose Castillo. Over the past few seasons, Loup has become more of a left-handed specialist and is really in camp because of that. While he’s likely to make the team, Loup’s role should continue to be that of a one or two out guy that has potential to throw an inning or two from time to time in the right scenario. Look for him to be used a fair amount over the course of the year against the big-hitting lefties of the NL West. With the Padres probably carrying a seven-man bullpen for at least the first part of the season, Erlin seems the most likely to fill the final spot and become the team’s primary long man. As the primary long reliever last year, Erlin was unexpectedly really sharp, compiling a 2.05 ERA and a 0.80 WHIP, as opposed to a 6.23 ERA and 1.46 WHIP as a starter. He’s also one of the more veteran players on the pitching staff and is a pitcher who can eat innings, especially as the young rotation goes through the expected bumps and bruises of a long season. He will more than likely get a few spot starts here and there, but Erlin has a chance to make a valuable impact on this year’s team, even though it may come in an obscure role. While this is what the expected bullpen may be on Opening Day, it’s important to note that the bullpen is arguably the most fluid of any spots on the roster, which makes it that much more intriguing. Expect to see a host of arms come up throughout the season, notably Trey Wingenter (who is another candidate to start the season with the MLB club), Brad Wieck, Gerardo Reyes, and a few others who will probably start the year at the upper levels of the minors. With so many young and electric arms coming up through the system, the bullpen will be an exciting part of the roster to track as the season develops. 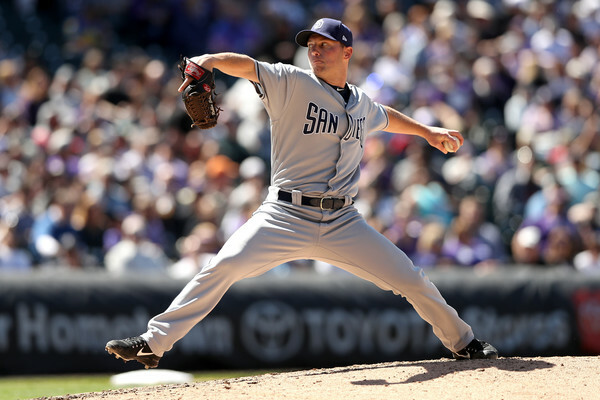 Previous What Will the Padres Rotation Look Like Come Opening Day? There is no way Wingenter is not in that bullpen. Yes there is. The additions of Loup and Warren made it tougher for him to make the team, and his homers allowed and walks are troubling. That’s not to say he won’t be on the team at some point, only that he won’t be on the Opening Day 25-man. Nice piece, and look forward to more from you. Oh, NO! moving Erlin to the rotation was the only way Mitchell would make the team – as the swingman. If Erlin stays in the bullpen, Mitchell will be released, and snapped up by the Orioles! How can you do that to the guy? OTOH, if he wants to be a starter in the worst way, that’s his best chance to make a rotation, but man, isn’t that the worst way? Okay, I take it all back. After watching the Cubs shellack the Padres 24-6 today, I think Logan Allen and Cal Quantrill can forget about rotation spots, at least on the Opening Day 25-man. That leaves Erlin for the fifth spot, creating a 4-lefty rotation. Putting Mitchell in there and moving Erlin where he excelled last year makes some sense, so while I think you nailed the Opening Day bullpen, Mitchell may have returned to the rotation by default.